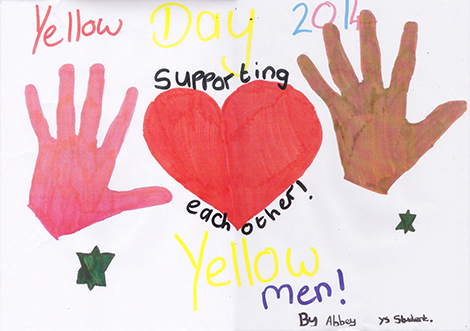 The Yellow day fundraiser at Burnside Primary School yesterday was a tremendous success. 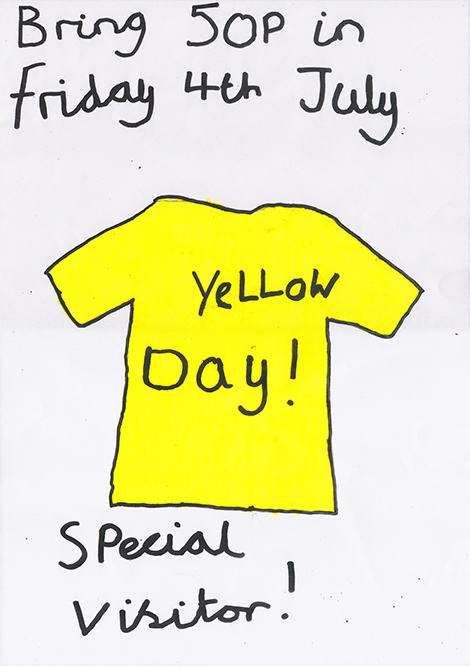 Both pupils and staff entered wholeheartedly into the spirit of the day wearing all manner of yellow attire, bathing the school in summery hues. Yellowmen leader, Eddie McCall (special visitor for the day) was overwhelmed by the enthusiasm of the children and by their comprehensive knowledge of the Pokot tribespeople. 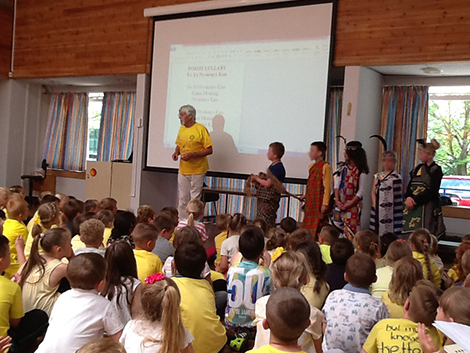 But this was, after all, their second annual Yellow day. Last year, the children raised funds for the charity before my September visit, and upon my return had an assembly and saw how the money raised was helping the peoples. The children exhibit real interest in and empathy for the tribespeople. Their intuitiveness at times is overwhelming. One little boy told me that he wanted to donate his pocket money to the charity. When I returned from Kenya, he came to see me and asked how many lives it had saved. He is really proud of the difference he has made. 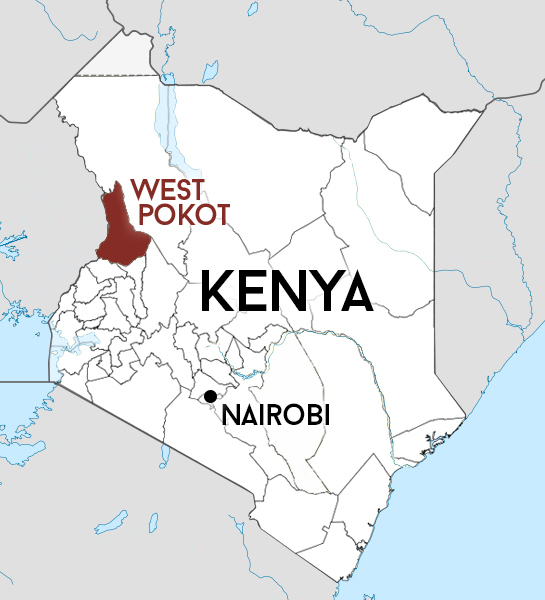 Just yesterday, a pupil who had brought in 50p to buy herself a Pokot bracelet told me that she just wanted to donate the money instead, having been moved by Eddie’s assembly. Over the course of the day Eddie gave talks to individual classes before addressing the whole school in an assembly. The children thoroughly enjoyed dressing up in traditional costume and learning Kenyan dances and songs. Even the Nursery children had fun trying on the tribal jewellery, dancing to the Jambo song and making their own African music. A massive £198 was raised through donations and the selling of Jewellery. 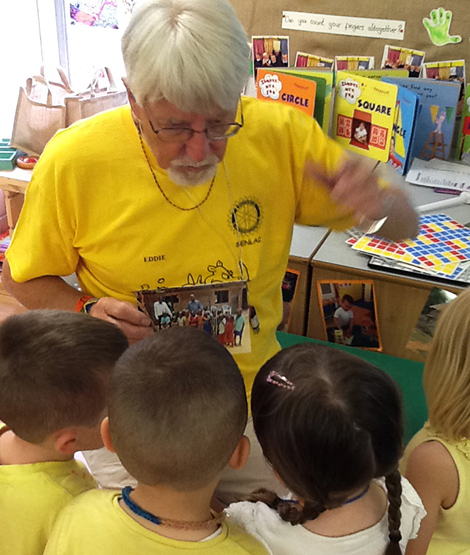 But more important than the monies raised is the lasting impression the day will leave on the children.